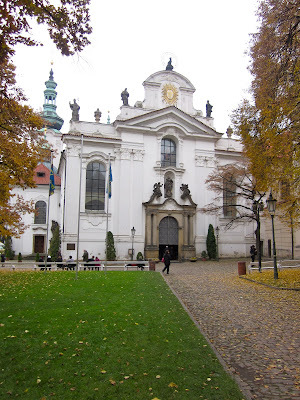 Well, officially the Czech Republic is a parliamentary republic, but in Prague, it feels as if churches are the kings of every street and square. 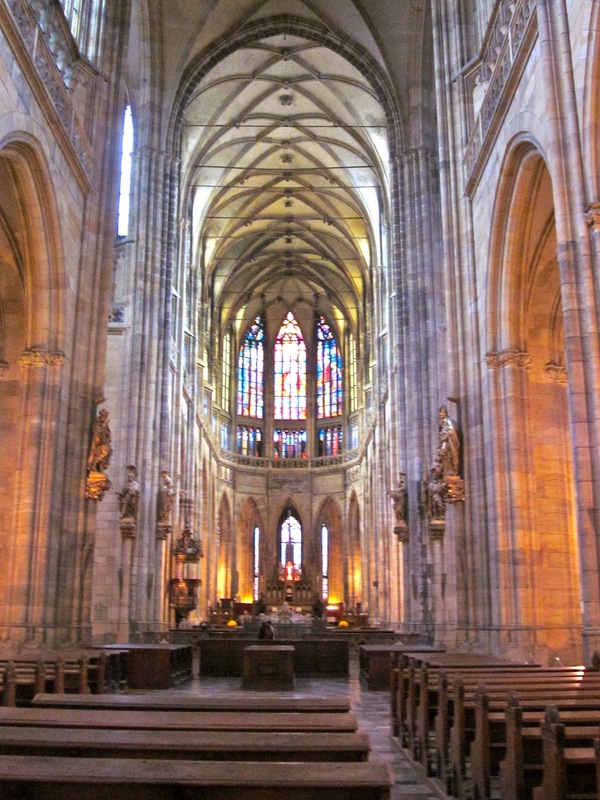 I am not certain that there are enough saints in the book to name every church in Prague… after all, several were actually named after Jesus. 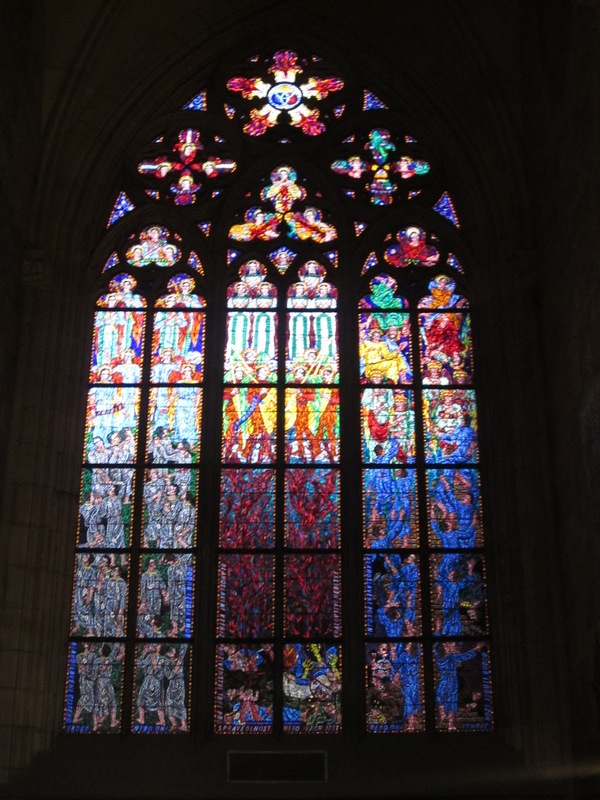 Another notable church is St. Vitus Cathedral, mentioned before as part of the Prague Castle compound. 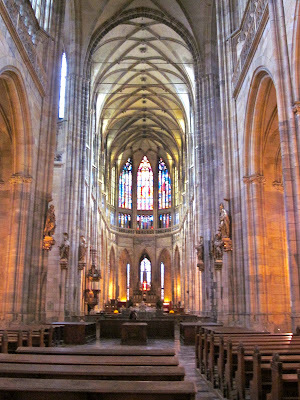 The interior is at once gothic and beautiful. The Strahov Monastery, or Strahovský Klášter, is a large monastery perched at the top of a large hill overlooking the Castle and the city below. Founded in 1140, the Church of the Assumption lies within the walls (as does a brewery, but that’s another story). 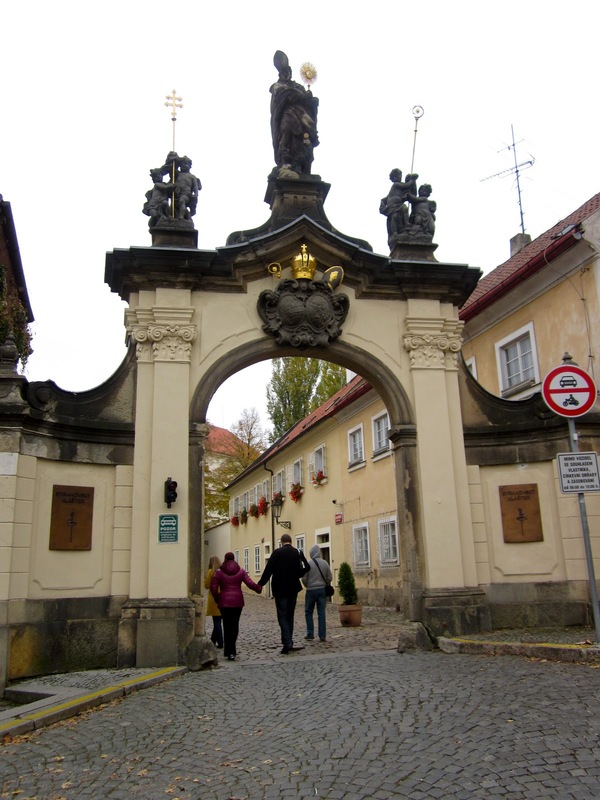 Prague also has a good-sized Jewish Quarter that receives many visitors each year. 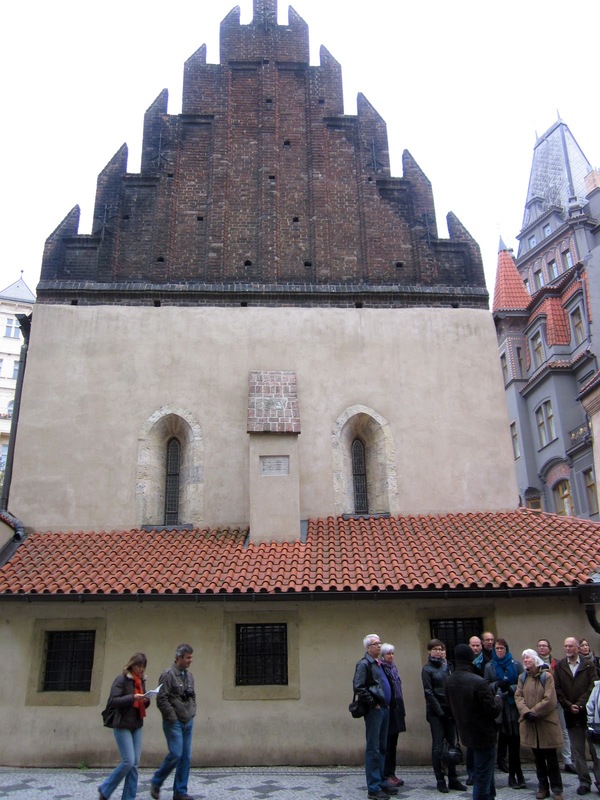 The Old-New Synagogue, or Staronová Synagoga, is the oldest preserved synagogue in Central Europe, dating back to the 13th century. 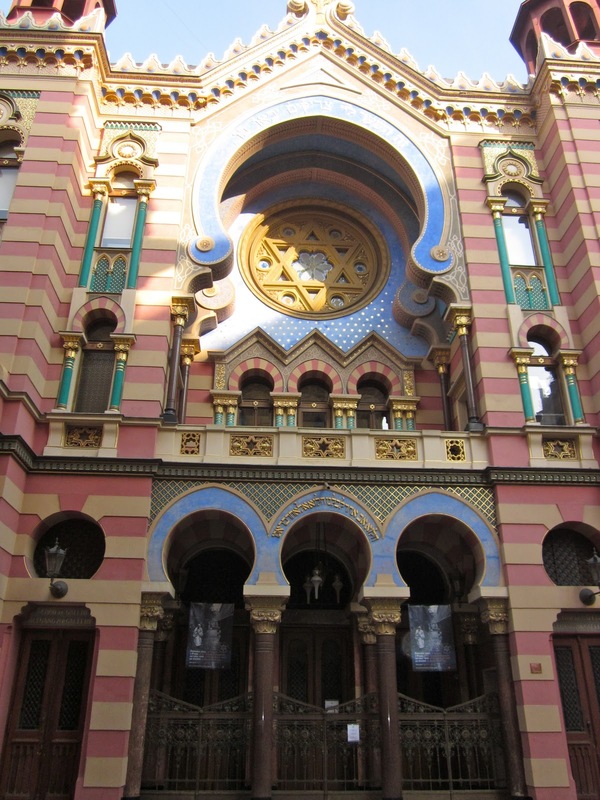 I was walking through the streets on Wednesday when I literally stumbled upon the crazy-bright Jerusalem Synagogue, or Jeruzalémská Synagoga. Hidden along a side street, I do not even see it on the (overloaded) tourist map I picked up. 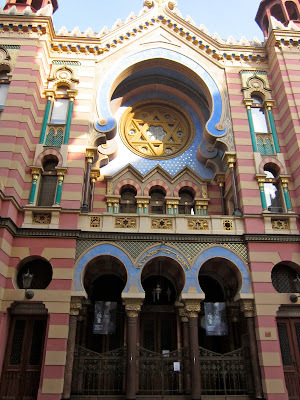 The outside is fascinatingly decorated, because many of the arches and striped designs are more reminiscent of Islamic décor. The sign said that the synagogue had closed until next April – kind of a bummer, because given the exterior I can only imagine what the inside looks like. 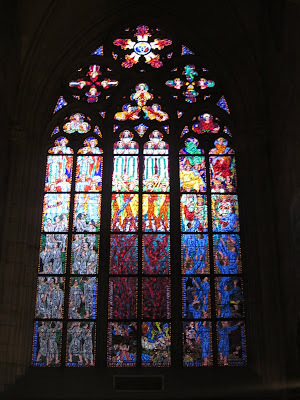 Many of the churches and synagogues in Prague either charge a fee to walk inside or strictly forbid photography. 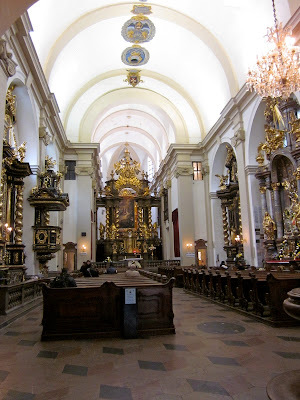 For that reason, I only have one contraband picture from the Infant Jesus of Prague, shown above… Should I have declared that in customs?